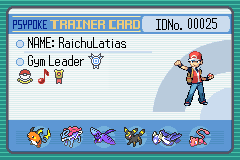 How do you think Psypoke Idol 2 should be run? 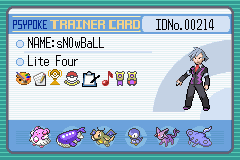 I am looking to run Psypoke Idol 2 sometime soon. When we ran it (a year ago now - my how time flies) it was a huge success and increased hits, interactivity and forum use. However, I would like people's opinions first. Ideally, I don't just want to run the same competition again. We would pretty much structure it the same way, rounds first with voting and the top 5 or something go through and it narrows down to a final round with 1 winner. Last time, the Starters, the Legendaries and the Eeveelutions cleaned up, and will likely again. The question I need help with, is who do we include this time round? So please fill out the poll and let me know what you think. Please also reply with ideas and input - I'll listen to everyone. Last edited by Amphy on Mon Sep 05, 2005 9:05 pm, edited 2 times in total. Ideally, I would wait until Pearl and Diamond are released before PsyPoke Idol 2 is run, but if there is enough demand to have it run before that time, run it the same way, but without the Legendaries, Starters, and Eevees. Running the competition exactly as before would produce the same results. In the interest of getting something other than starters, eevees, and legendaries in the top.. however-many-starters-eevees-and-legendaries there are, drop those three. Exactly what is Psypoke Idol? who are paid in advance to choose the winner? How does PsyPoke Idol work? How do we vote? It was a competition we held a while back to determine our favorite Pokemon..or something. It was mostly just a long drawn-out process of voting (1-5 star rating system). I would wait till Diamond and perl. If not maybe you can group them that would eliminate the bulk of the legendaries, starters and eveelutions and probably kill two birds with one stone. Maybe group all the Legendaries in one group (if Possible) and the winner of that group could also have a speacial titles as Psypoke favorite Legendarie same with the starters and eveelutions. It was very comical...and looked interesting too. i wasnt around but i heard it was awsome! !i say do it without evee's(if u must )and that stuff..yes do it now!! No I assure you that voting did actually take place and that all the results were done off the votes. The very original scheme of things were to have the Elite Four vote on the Pokes to choose a top 65 but then we left our opinions only as guidelines and left it all up to voting. Wait until P/D is out, I say. Similarly to DKM, I think that Psypoke Idol 2 should wait until Pearl and Diamond come out, but I also think that something should be done about the legendaries, Eeveelutions and starters. The suggestion to put them all in the same group is the best one, in my opinion. I think Psypoke Idol should be annual so you can do one with D/P next year but you can do one with all eeveelutions, starters, and legendaries in the same group this year. Exactly. I think this would be the best thing to do, even though it means waiting a while. Wait until PD and like other 3 mods said and Put the OUs (Starters, Legendaries and Eevoultions) in the same group. Maybe we should also consider putting some other OUs with the starters,eevoulutions and legendaries. Like Houndoom, Slaking, Dragonite, Snorlax, Salamence, etc. Perhaps we should try a making Baby and Mid pokes Group some other time. Baby - Basics, except for Pikachu and others that got prevos. Mid Pokes - Kirlia, Ivysaur, Wartorle, etc. Wait till D/P. There may be a cool pkmn that everyone likes, and wants to be the next Psypoke Idol. I voted 4 Pearl and Diamond because if we have the same set of pokemon to choose it would probably get the same result: Mew. But with P/D coming, we would have a lot of choices. Go ???! BTW. Just wondering: The animation said 387 pokemon. Who was the last? Munchlax? Rukario? It doesn't really say and to go through all the names is a bit troublesome. Who was the winner of the previous Psypoke Idol. Was it . Yeah, Mew beat Charizard to first place ... if you click the link that flaming wuzzle put you can see some cool animations about PI. Location: In Celadon City playing Slots! YAY!!! I WIN!!! I say to wait until P/D comes out. Also about the legendaries, if we grouped them up, they would be the favorite automatically, because when I saw the reasults from last year, I quickly noticed that at least 3/4 of the winners were legendaries, or starters. 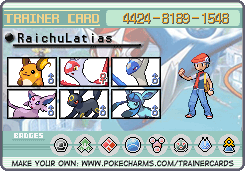 Well that's just the thing, latis. If the legendaries are all in one group, and only one Pokemon comes out of that group eventually, than instead of 3/4 of the winners being legendaries, only one of them would be a legendary. Get it? i voted wait until pearl diamond. but now that i think about it why does that matter? hey napoleon, gimme your tots. 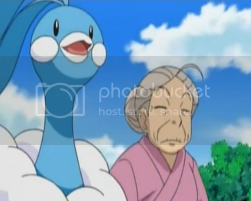 - We are all familiar with these Pokemon. We know exactly what they are like and what they can do. If we do it when Diamond and Pearl are released, people will have certain biases for or against those new Pokemon. - Legendaries should not be included because they will make the competition rather unfair. People tend to be on the extremes when it comes to legendaries. Some people love them for their power, while others hate them for their cheapness. - Believe it or not. People DO grow bonds with their starting Pokemon. If given a choice between their starter and one caught in the wild, more often than not people will pick their starter. Again, this makes the event a little unbalanced. I think perhaps that's the best suggestion I've read Gardevoir . And it's true, I know I bonded with my Swampert in Sapphire.